Uploaded a new manuscript on SSRN, the first paper of 2019: Is the inf-convolution of law-invariant preferences law-invariant?. The title should already tell the content. Critical comments are very much welcome. We are organizing the First Waterloo Conference in Statistics, Actuarial Science and Finance (WatSAF1) on Quantitative Risk Management and Financial Technology, April 25-26, 2019, Waterloo, Canada. Registration is now open, with early-bird registration deadline March 28. I look forward to seeing all guests and friends in Waterloo in April. Happy new year! Winter terms starts at Waterloo. Uploaded a new manuscript on arXiv: Weak comonotonicity. In this paper we introduce a notion of weak comonotonicity with the hope to bridge the gap between the classical comonotonicity and other notions of positive dependence. Critical comments are very much welcome. Uploaded two new manuscripts on arXiv and SSRN: Risk functionals with convex level sets (first partial characterizations of elicitability in dimension two), Sums of standard uniform random variables (innocent-looking but surprising results on the sums of U[0,1] random variables). Critical comments are very much welcome. Uploaded a new manuscript on arXiv: Compatible matrices of Spearman's rank correlation. In this small paper, we give a negative answer to the long-standing open question of whether a linear correlation matrix is necessarily a rank correlation matrix. Critical comments are very much welcome. Uploaded a new manuscript on SSRN: Robustness in the optimization of risk measures. In this paper we develop a notion of robustness with an emphasis on risk optimization problems. Critical comments are very much welcome. Uploaded a new manuscript on SSRN: Scenario-based risk evaluation. Critical comments are very much welcome. Back in Waterloo again. Uploaded a new manuscript on SSRN: Convex risk functionals: representation and applications. Back in Waterloo till July 9. I am visiting RiskLab and FIM, Department of Mathematics, ETH Zurich until June 30. My office at ETH: HG.G.39.5. Uploaded a new manuscript on SSRN: Characterizing optimal allocations in quantile-based risk sharing, which is a continuation of my previous work on quantile-based risk sharing. Comments are welcome. 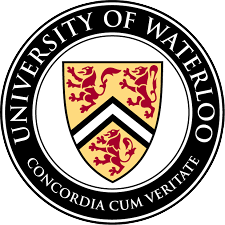 Postdoctoral and PhD positions at the University of Waterloo are currently available. Interested junior scholars or students are welcome to send an email inquiry directly to me. Uploaded a new manuscript on SSRN: Combining p-values via averaging. This is an attempt of applying results from the area of risk management into a classic problem in statistics. Comments are welcome. A brilliant young student Jie Shen is on the job market this year. Please feel free to contact me or her if you look for candidates for a postdoctoral or junior faculty position in Probability and Statistics. Starting from January 1, 2018, I serve as Co-Editor of ASTIN Bulletin (specialized area: risk management). I plan to visit ETH Zurich, Switzerland from May to June this year. Uploaded a new manuscript on SSRN. Comments are welcome. Uploaded two new manuscripts on SSRN. Comments are welcome. I am back in my office in Waterloo. I will stay in China for a longer period of time, and return to Canada later this fall term. I am visiting ETH Zurich, Switzerland from April 17 to July 15. Academics and practitioners in risk management are cordially invited to participate in the Workshop on Risk Measurement and Regulatory Issues in Business, Montreal, Canada, September 11-14, 2017, as part of the Thematic Semester: Risk in complex systems - Models, applications, perceptions, and policy implications, August-December 2017. Happy new year of 2017! New semester starts at Waterloo. I have planned a visit to Zurich, Switzerland from mid April to mid July this year. I will be on a personal trip from December 10 to December 31, with limited internet access. Merry Christmas! Back in office. Fall semester starts at Waterloo. I am visiting the Chinese University of Hong Kong from June 20 to June 24. I am visiting China for the summer, mostly in Beijing with the Chinese Academy of Sciences. I am attending the Sixth International Gerber-Shiu Workshop in Beijing, China, June 8 - June 9. I am attending the 2016 Symposium on Financial Engineering and Risk Management in Guangzhou, China, June 12 - June 13. I am organizing the Workshop on Random Complex Structures and Data Analysis in Finance, Beijing, China, August 3 - August 7. I am back in office in Waterloo till June 4. I am visiting Risklab at ETH Zurich till May 20. I will be visiting Beijing from 17 March till early May. I am offering a PhD level short course at Peking University. I am back in my office in Waterloo, Canada. I will be on a trip from December 14, 2015 to January 14, 2016 with only limited internet access. The website has a new design. Thanks to Ian Yu at Mono for his kind help. Today, the number of countries that I visited reaches my age. I am visiting the Department of Mathematics at ETH Zurich till December 2015. Back in office. Spring term starts. I will be traveling starting April 18th, with limited internet access. Back in office. Winter term starts. I will be traveling starting December 12th, with limited internet access. Back in office. Fall term starts. I will be traveling from late June to late August. I am attending the 11th International Vilnius Conference on Probability Theory and Mathematical Statistics in Vilnius, Lithuania, June 30 - July 4. I am attending the 18th International Congress on IME in Shanghai, China, July 10 - July 12. I am attending the Workshop on Risk Analysis, Ruin and Extremes in Tianjin, China, July 14 - July 16. I will be visiting Europe/China/East Asia for the above period. I will be visiting ETH Zurich, Switzerland, May 8-22. I am attending a workshop on Recent Developments in Dependence Modeling in Brussels, Belgium, May 23. I am attending the 2014 Annual Meeting of SSC in Toronto, May 26-28. Check this out: a new working paper on joint mixability (with Bin Wang). This paper contains major progress in my current research. Comments are very much appreciated. I will be visiting Montreal, March 27-29. I am attending the 3rd Workshop on Insurance Mathematics in Quebec City, Jan 31. I will be in China from Dec 10, 2013 to Jan 5, 2014. Just came back in Waterloo. I will attend the International Workshop on High-Dimensional Dependence and Copulas in Beijing, Jan 3-5, 2014.